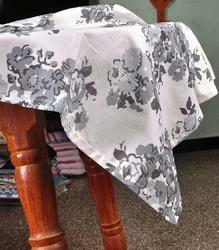 Our range of products include printed tablecloths, square table cloths, tablecloths, table throws and christmas table cloth with napkins. 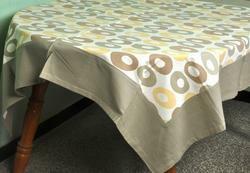 Our competency lies in offering our clients an excellent quality range of Round Tablecloths. 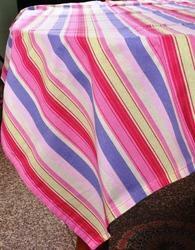 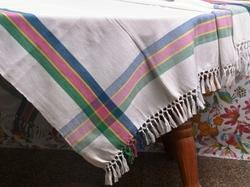 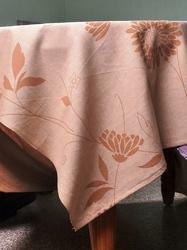 The table cloths provided by us are much admired in the market due to its alluring look and flawless finish. 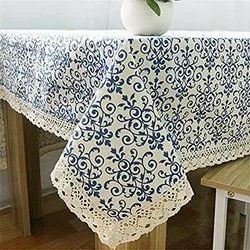 While designing these table cloths, our team of skilled professionals makes use of optimum quality fabrics and sophisticated machines in accordance with the current fashion trends. 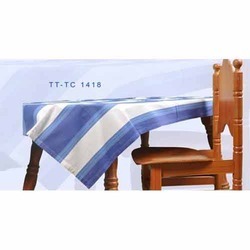 These table cloths are provided in varied finishes and other related specifications as per the diverse needs of our honorable clients. 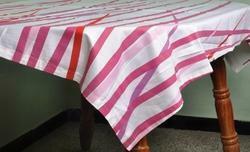 Backed by a sound domain experience and in depth industry knowledge, we are providing our clients with premium quality Printed Tablecloths. 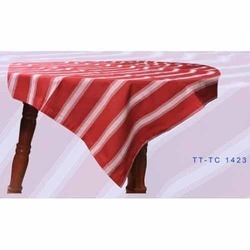 Well-known for their mesmerizing design, these table cloths are available in diverse finishes, colors and other related specifications to attain the maximum satisfaction of our respected patrons. 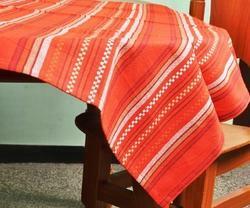 At our premises, these cotton table cloths are designed and stitched from the best class fabric and the latest technology. 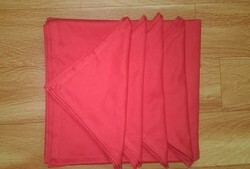 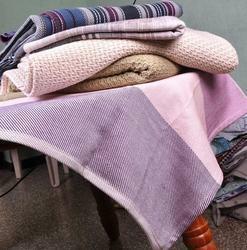 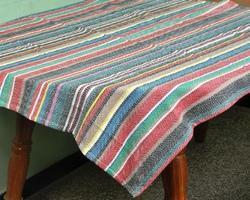 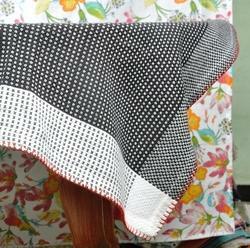 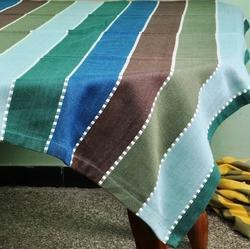 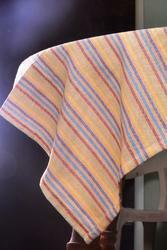 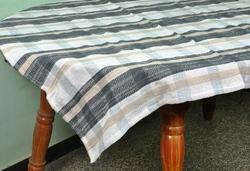 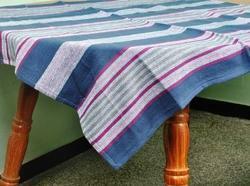 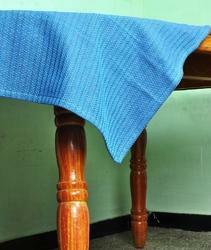 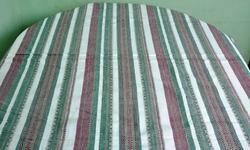 Moreover, we have reasonably priced the offered cotton table cloths without compromising with the quality. 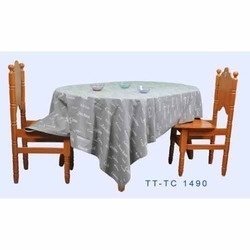 Since our origin, we have become the famous company of quality assured range of Square Tablecloths that is widely applauded for their extraordinary attributes given below. 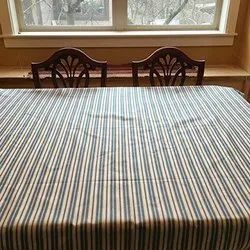 For designing these table cloths, our veteran team of professionals only uses premium quality fabrics and contemporary techniques at par with current fashion trends. 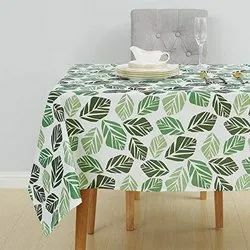 In order to ensure their skin-friendly nature, these table cloths are properly checked against numerous parameters under the surveillance of our team of experts. 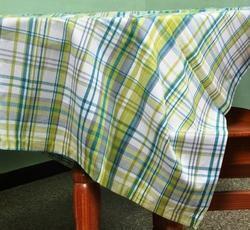 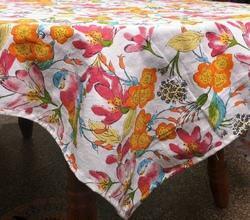 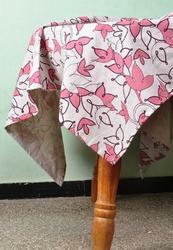 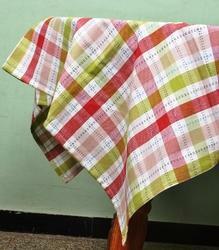 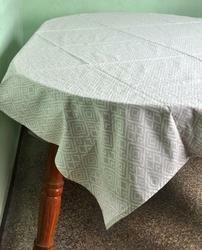 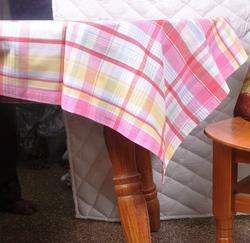 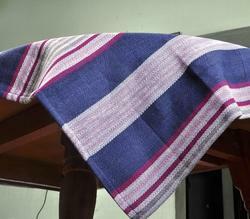 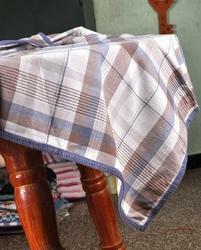 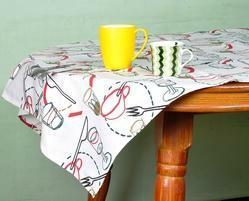 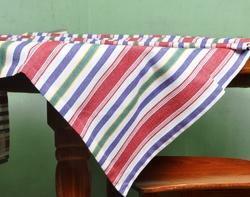 table clothes are made by high range of cotton with quality measures and customized color,designs. 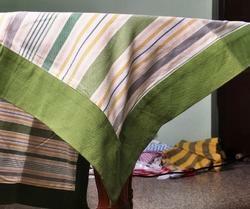 table clothes are made with customized colours and designs over high range of quality. 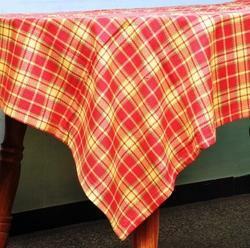 Printed Tablecloths offered comes in quality fabric finish as well as makes use of rich vibrant colors for exclusive appeal.